Organization and programs around campus are working to support those with autism during Autism Awareness Month. One of those programs is the Mason Autism Support Initiative (MASI), which works with autistic students year-round to provide additional support both in and out of the classroom. “MASI is a comprehensive program for degree-seeking students with a diagnosis of autism spectrum disorder,” Christopher Williams, the MASI program coordinator, explained. Students with autism who wish to enroll in MASI must first apply for admittance. From there, Williams and the associate director of the program, Jamilah Anderson, choose which students are admitted. Once students are accepted, there is a cost: $6,000 for the upcoming 2019-2020 program year. The fees for the program are self-generated and pay for the faculty who help out with MASI, which consists of peer mentors and learning strategists. Williams and Anderson look for students who are willing to help others when hiring for these positions. Peer mentors are undergraduate students who help those enrolled in MASI with acclimation to social life on campus, while learning strategists are graduate students who work to provide support to students in an academic realm. There are currently 32 students enlisted in MASI, and the number is expected to increase to 38 in the following academic year, according to Williams. Williams explained that he and other staff would like to grow the program to 50 students, but for now, they are focused on increasing the staff and working on what MASI offers to students. Justin Boachie, a junior in MASI, explained that he has gotten a lot out of the program during his time at Mason so far, particularly when it comes to the independence that MASI gives students. “They are providing you resources, but they aren’t holding your hand,” he said. Not only does Boachie appreciate the independence that MASI gives him and his fellow peers, but he thrives in the social environment that the program has constructed. Boachie is a part of a new social-event-planning committee run by the students in MASI themselves in MASI. “We, the students, are actually generating the social events for the students … hearing from their point or perspective on what they’d like to do as a program,” Boachie said. He made sure to emphasize that though the program is fun, it should be taken seriously and is a chance to really support those in the autistic community. “We want to be accepted into society, as well,” Boachie explained. MASI is a program that supports students with autism throughout the entire year, but there are other groups on campus working to support autism awareness with events during the month of April. Mason’s police department is selling custom patches in honor of autism awareness for $10 each, with 100 percent of the proceeds going toward the Special Olympics. 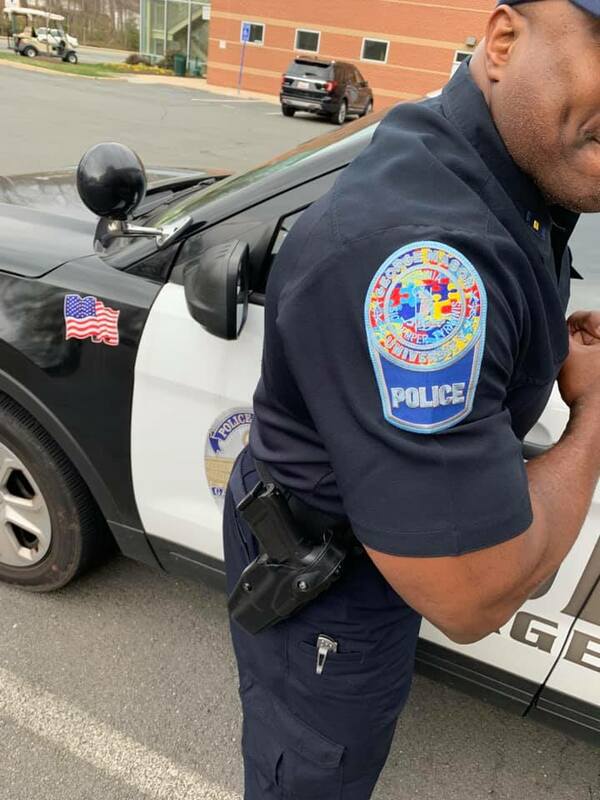 Those interested in buying a patch can head to police headquarters on the Fairfax campus. 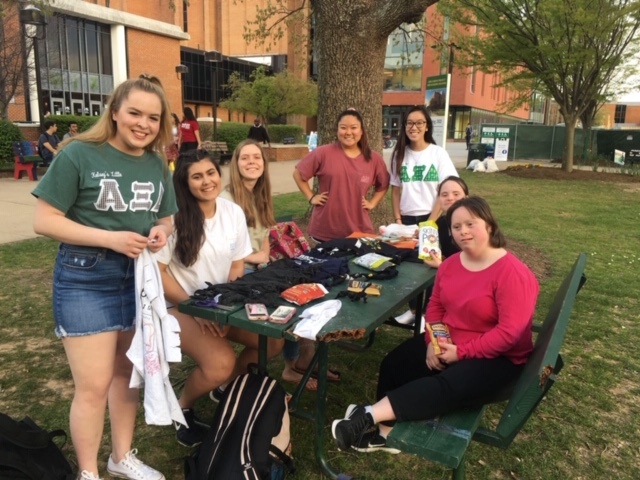 Alpha Xi Delta, a sorority on campus, will be hosting various events in the coming week to raise money for Autism Speaks, their national philanthropy. According to Hunter Nappi, the organization’s vice president of philanthropy, the chapter raised over $18,000 for Autism Speaks with the Autism Speaks Walk last fall. Nappi explained that she thinks the philanthropy work the chapter does it important for including those with autism in the conversation. “I think it’s really important for people to understand it better, so people [with autism] can be more included in everyday life,” Nappi said. Autism Speaks has received criticism for its past handling of autism as a disease, rather than a condition. However, it has moved toward a more inclusive perspective, according to Grace Oh, the former vice president of philanthropy for Alpha Xi Delta. Oh explained that Autism Speaks has changed their mission statement to move toward ensuring understanding and acceptance of autistic people, rather than trying to find a “cure” for autism.